Exclusive Exhibition Opportunities in Texas, exhibitions are currently held in San Antonio, Austin, Dallas and Houston. Curated. Exhibitions will be curated by important national and local curators. Catalogs of exhibitions will be produced, when possible. Member Directory. Contact information of all TSG members will be made available for all members. Gatherings are held at sculptor’s studios or homes. These meetings occur periodically in different Texas cities, usually on the same weekend as a scheduled TSG exhibition. Networking Benefits. 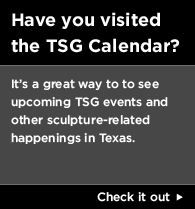 The TSG is a network of Texas sculptors that will provide fun, friendship and career opportunities for it’s members. Sculpture Magazine 10 issues per year. 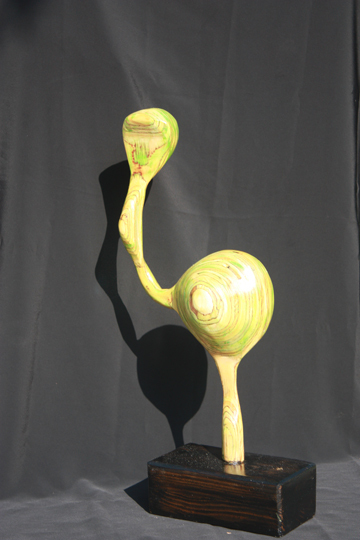 Insider Newsletter (opportunities for sculptors) 10 issues per year. Reduced registration fees for ISC conferences. Portfolio Listing in ISC website’s directory (2 images) and TSG website’s Artist Registry. Member Discounts from ISC and TSG member vendors (this is list is growing). 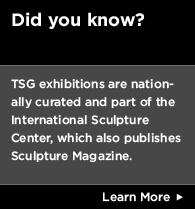 Each month, one member’s work is highlighted on the TSG website homepage. Unique partnering exhibits with organizations such as Texas Biennial and other ISC Chapters.